Six-time bracelet winner Daniel Negreanu may be a bit distracted leading up to this year's World Series Of Poker, and for good reason. The Canadian who now sits second on poker's all-time money list will be tying the knot with his sweetheart, Amanda Leatherman, on May 17. But when May 29 rolls around, you can bet, it's WSOP time. Negreanu has been putting in a full schedule at the summer Vegas series for years, and for the last several, he's let his fans in on the grind through daily vlogs posted on his YouTube channel. Expect more of the same this year, with a pretty major twist on the schedule of events he'll be playing. “I’m actually considering doing something I’ve never done before at the World Series, and that is to give these gimmicky small events a try." Typically, Negreanu plays a WSOP schedule full of bigger buy-in events, mostly $10Ks, $50Ks and the occasional $100K or $1 million buy-in, which come with stronger but much smaller fields than the smaller buy-in events on the schedule. While the competition is significantly tougher, it's still better for bracelet hunting and used to be better for chasing points in the Player of the Year race — which is no longer the case. 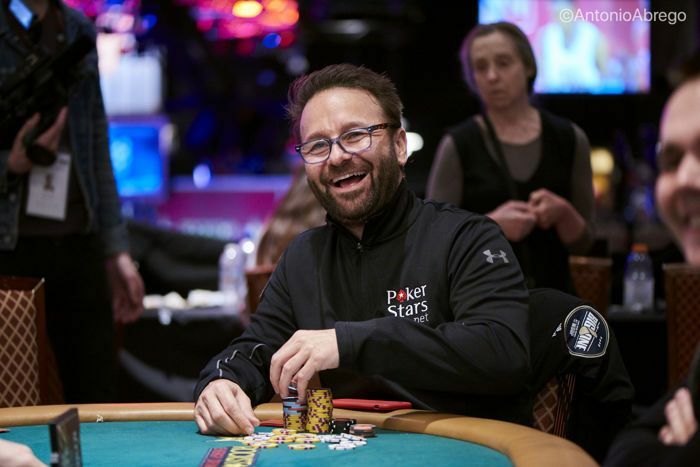 Last week on the DAT Poker Podcast he co-hosts, Negreanu shared that for the 2019 WSOP, he has decided to play a schedule heavy on the smaller buy-in no-limit hold'em events for a variety of reasons, chief among them to chase POY points. As Negreanu explained, the way the POY points structure is set up, it's much easier and more valuable to rack up min-cashes in smaller buy-in, large field no-limit hold'em events than it is to grind out tough $10Ks that don't award as many points. He used as an example finishing 12th in the $10,000 Limit Hold'em, which is a good accomplishment with very tough competition down to two tables, being comparable to min-cashing a huge field small buy-in event like the Colossus. "In the past, you could literally max late-reg [the Colossus], last about two hours on your stack, and you’re in the money. And you get like six bullets at it, so people are cashing now like 17 to 20 times during the World Series." "If someone wanted to bet me $5 million that I could have 15 cashes at the World Series this year – fire away." With cashes being relatively easier to come by these days, Negreanu is confident that by playing a schedule with more of these smaller buy-in events and more volume, he too could be cashing in the double digits. He's so confident, in fact, that he's ready to put some serious dough on it if he has any takers. "If someone wanted to bet me $5 million that I could have 15 cashes at the World Series this year – fire away. If you guys want to do it, I’ll take the prop bet. I’ll cash 15 times – I’ll bet even money." With so many events on the schedule now, and the top 15 percent of the fields getting paid, Negreanu thinks he's a favorite to be cashing frequently, especially in the smaller buy-in events where the competition is much weaker than what he's accustomed to in the bigger buy-in events. Besides the benefit of accumulating more POY points, he also sees other benefits to playing this type of schedule, a stark contrast with his swearing off participation in these the past few years. "I think it might be fun also to get a sense of what these events are like," he said. "I might want to shoot myself in the head playing like 10-handed no-limit hold’em with no shot clock but that’s the plan as of now. I think I’m just going to go all out and play everything that I can play." 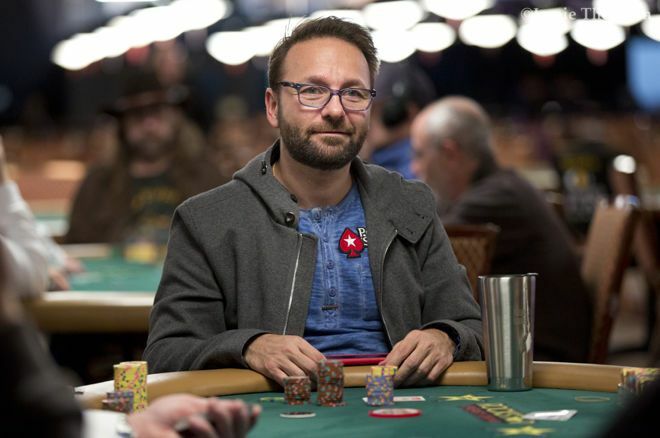 Daniel Negreanu will be working several small buy-in events into his 2019 WSOP schedule. While he will be de-prioritizing his typical bracelet hunting goal in favor of accumulating more POY points, Negreanu also expects the benefit of a higher ROI in the softer fields. "If you’re playing to maximize profit, the best events to play are the small buy-in big field events," he explained. "Your ROI is going to be significantly higher than it’s going to be playing the $10Ks." "If you’re playing to maximize profit, the best events to play are the small buy-in big field events." The typical $10K events he plays get up to 150 players and he estimates that maybe around 20 of those players are non-professionals. The scene is very different in the smaller buy-in no-limit hold'em events, which attract thousands of recreational players in addition to mostly mid-stakes professionals. "I’m curious to just to feel how soft it is," Negreanu said. Asked about his best guess of what his expected ROI would be in the large field $1Ks and $1,500 no-limit hold'em events, Negreanu started with a comparable event that he has done calculations for. Although the $10K Main Event is a different animal with a much better structure, the field is likely quite similar to big field $1Ks. His typical ROI in the Main Event being something like 450 percent, Negreanu estimated his ROI in the $1Ks to be between 280 and 300 percent. "A lot of people have questioned whether I’m out of touch with the game today." "And I could be completely wrong, right?" he admitted. "Because I’m saying this based off of what I remember, but you know, poker’s advanced — a lot more players are really really good, so we’ll see." Not as quick to accept a prop bet to put this number to the test, Negreanu explained that he still plans to play and prioritize bigger events, meaning he won't be devoting his full focus to the smaller events he plays. That said, he would adjust his ROI based on his plan of execution. “Considering the strategy I’m going in with, prioritizing the other events... I'm probably going to be getting it in bad sometimes," Negreanu said. "Sometimes I’m going to double up and be a threat, so I would say it’s probably about... I would go with right around [170 percent… 175] – in that neighborhood." Daniel Negreanu plans to continue documenting his WSOP experience through daily vlogs. As one of the most recognizable faces in poker, and a long-time team pro for PokerStars, Negreanu's reach in the poker community is vast, and he is often vocal in expressing his opinions on how best to grow the game. But some have questioned the high-stakes grinder's credibility in speaking up for the core of the poker-playing public. It's a criticism to which the superstar isn't deaf, and he admits his first-hand experience is a bit lacking nowadays in the smaller stakes populated by the majority of players. "A lot of people have questioned whether I’m out of touch with the game today," Negreanu said. "I talk to a lot of people who are in the trenches playing these [lower buy-in events], but I haven’t experienced it quite at the same level as they have, so I’d like to get a sense of, what are poker issues that they face? "I know in the high roller environment... We talk about what we’d like to see change and things like that, but it’s a lot different for me to be on my perch, and sort of hear from other people than it is to actually see it myself and have the conversations." "It’s a lot different for me to be on my perch, and sort of hear from other people than it is to actually see it myself and have the conversations." 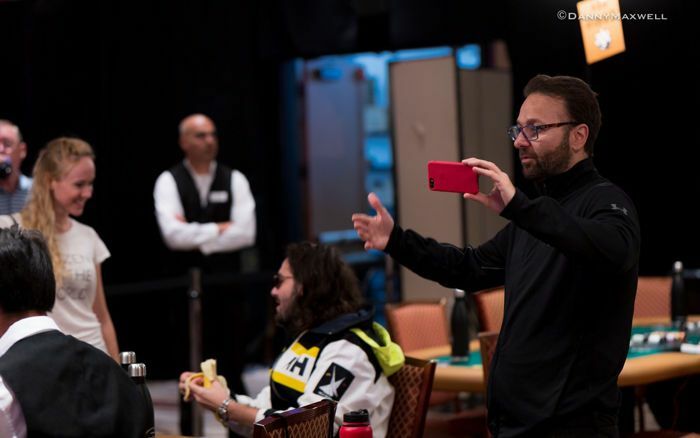 It is those types of conversations that Negreanu plans to have plenty of at the 2019 WSOP, as he grinds it out alongside hundreds of people who play the game just for fun. "I actually think it might be fun to sort of get to know kind of a different group of people during the World Series...," he said. Another plus is that Negreanu will be getting more one-on-ones with the very population that makes up the majority of his vlog viewership, rendering his vlogs all the more relatable. "People who watch the vlog that I do on YouTube daily, they’re not playing the $100K and the $1 Million One Drop," he said. "It’s cool for them to see that probably, but I think there may be some great content simply, you know, in terms of having a chance to meet the everyday poker player that isn’t spending $10,000 on a buy-in, but they’re spending $500 or $1,000." If you'd like to hear Negreanu's discussion of his summer WSOP plans, you can listen to last week's DAT Poker Podcast from minute-mark 22:50 to 31:00.